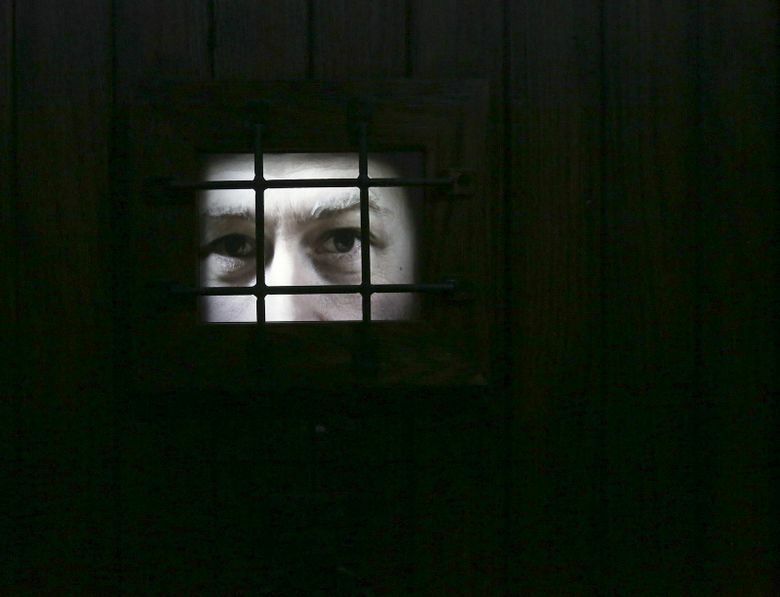 A new exhibit looks at Prohibition and its discontents. These days, you can’t talk about the pro-marijuana movement without one dispensary owner or weed lover citing the failure of Prohibition as a lesson — as in, the legalization of pot can’t be stopped just like booze couldn’t a century ago. So when the Museum of History & Industry (MOHAI) announced that the new traveling exhibit, “American Spirits: The Rise and Fall of Prohibition” would be coming here, you knew an allegory would be served up one way or another. 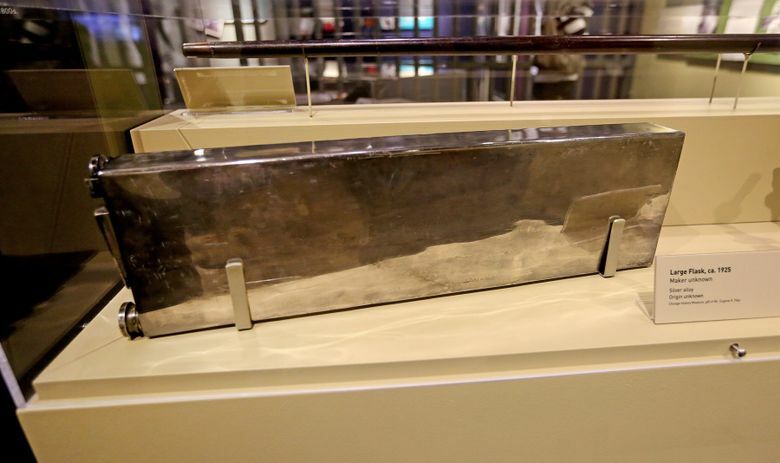 The exhibit, organized by the National Constitution Center in Philadelphia, covers the time period from the temperance movement of the 1800s to the repeal of the 18th Amendment, which ended Prohibition. 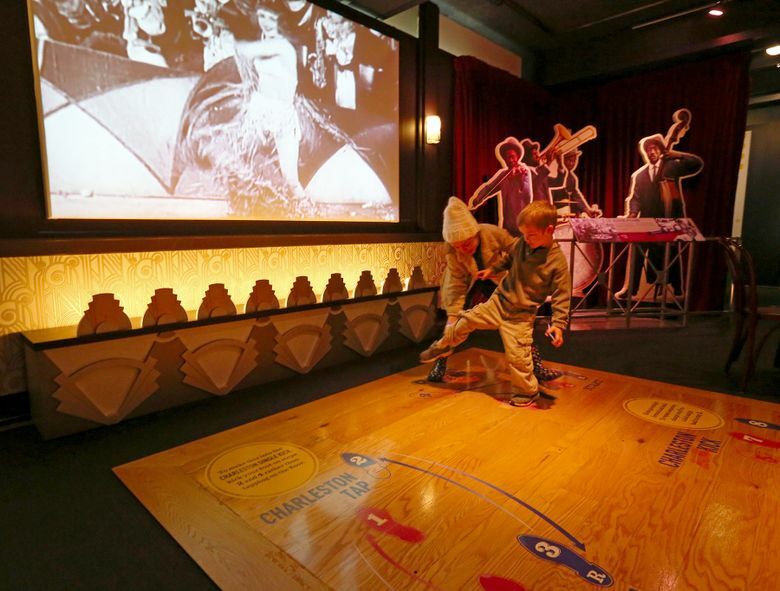 MOHAI will launch a companion exhibit on June 6, called “21st Century Speakeasy,” which will delve into the topic of marijuana legalization, among other subjects, to connect the dots with Prohibition. As the nation is “moving toward marijuana legalization,” there are take-away lessons that can be learned from Prohibition, Garfield said. By 1830, Americans drank the equivalent of four shots a day, which eventually led to the dry period, 1920-1933. 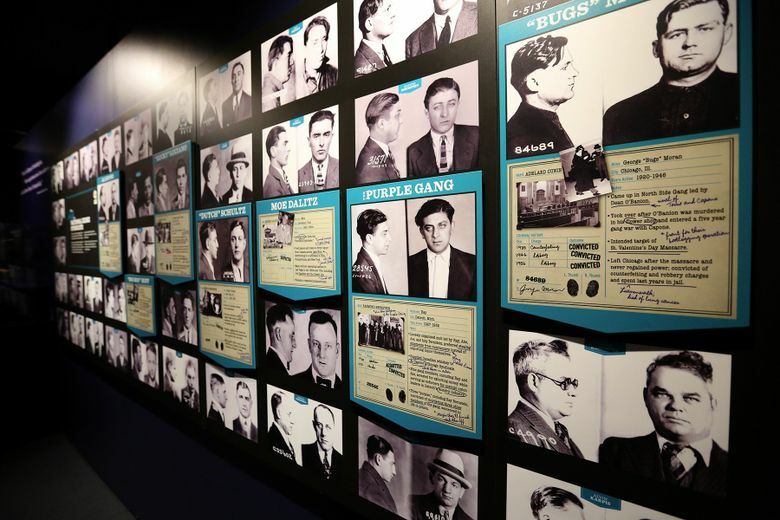 The exhibit makes the case that Prohibition not only had little success but helped launch crime syndicates and made bootleggers such as Seattle’s Roy Olmstead rich. A former lieutenant with the Seattle Police, Olmstead brought down whiskey from the docks of Victoria, B.C., and Vancouver, Canada, through the Strait of Juan de Fuca. The phone Olmstead used to run his empire, and which eventually doomed him, is on display at the exhibit. Federal agents arrested Olmstead based on evidence gathered from wiretapping equipment placed on the street and in an office building basement near but not on Olmstead’s property. His case reached the Supreme Court and became a national debate over whether wiretapping violated one’s privacy, an issue that still resonates today. 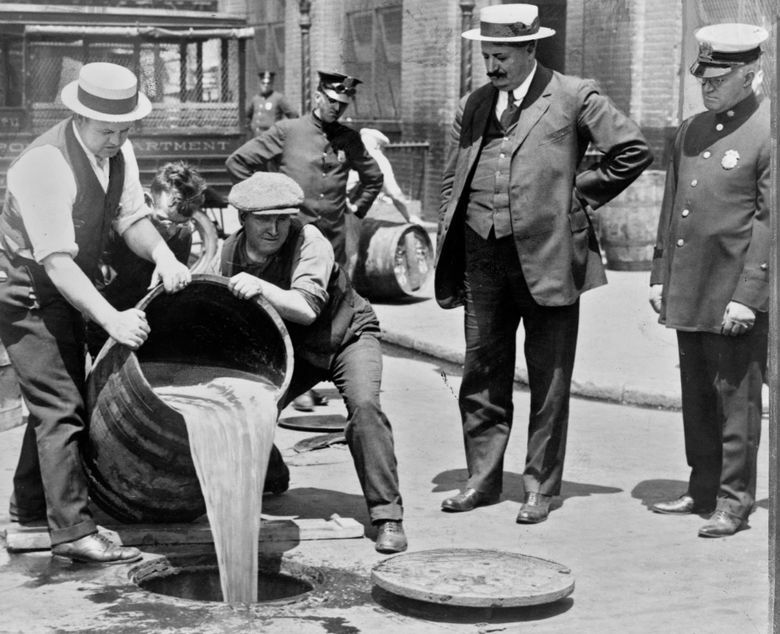 As the exhibit makes clear, Washington’s antiquated liquor law is a legacy of Prohibition. The state didn’t get out of the booze business until voters approved an initiative to privatize liquor four years ago. The centerpiece is the speak-easy room, where you enter through a dark door leading to ragtime music with displays of black and white photos showing how the culture shifted during Prohibition from men’s only saloons to both sexes sharing tables while sipping gin drinks and women doing the Charleston in hemlines above the knees. 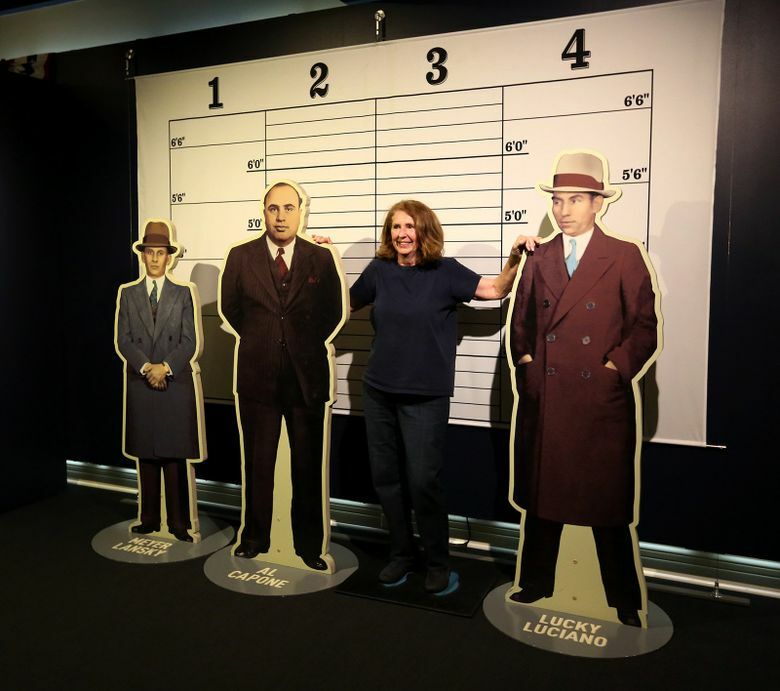 To avoid boring the millennials and field-tripping students at what is essentially a civics lesson on the 18th and the 21st amendments, “Prohibition” gets sexed-up with interactive panels and the name-dropping of Eliot Ness. There’s also a “Rum Running” video game where you chase bootleggers around the Pacific Coast and a mug-shot photo op alongside a life-size cutout of Al Capone that can be emailed to you. Local distilleries will host tastings at the museum in conjunction with the exhibit later this summer.